NHS trusts across south east England are running courses for emergency nurses that help them share best practice. A nurse-led collaboration between emergency departments across south east England is allowing staff greater access to training and sharing best practice. The Emergency Care Educational Collaborative, started by emergency nurse consultant and qualified lecturer Cliff Evans, is made up of staff from East Kent, Tunbridge Wells and Maidstone, Brighton and Medway. Mr Evans, who has been instrumental in turning around Medway NHS Foundation Trust’s emergency department, wrote a master’s degree course for senior emergency nurses. The course, which started in November last year, is taught at Medway and accredited by the University of Greenwich. The first cohort of 12 students are due to graduate in July. Earlier this year, the collaborative worked on producing several continuing professional development trauma courses which are delivered across various sites at the trusts. Mr Evans said nurses are able to attend the courses free of change and are entitled to a week’s honorary contract where they can spend time working in an alternative environment at a different trust. He said: ‘The key to success is investing in the workforce. University courses are incredibly expensive, trusts have a limited budget and emergency nurses are a specialist resource. ‘By writing and delivering the courses ourselves we can save a huge amount of money. 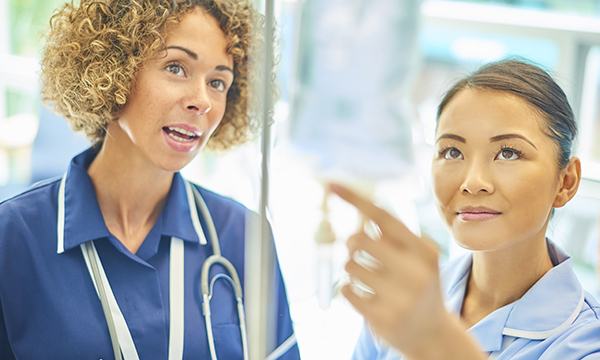 In July, a three-day course at Medway is to be launched for nurses and assistant practitioners across the region on minor injuries, skills, treatments and investigations. It will enable them to provide advanced practice in relation to minor injuries.